Anyone interested in a career in any aspect of law enforcement or judiciary proceedings dealing with suspects and those charged with criminal offenses needs to get a Criminal Justice degree. Much like the long-running television show "Law & Order" says, "In the criminal justice system, people are represented by two separate yet equally important groups" and the law enforcement part of that equation is connected with a Criminal Justice degree. 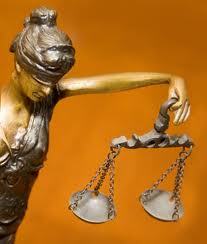 Lawyers specializing in criminal cases also benefit from getting additional course credits in Criminal Justice. Check out all of our criminal justice schools. Law enforcement is about preserving social order by preventing crimes where possible and catching and penalizing criminals in cases where there is a violation of the law. Criminal justice is interested in these aspects of implementation of the law and in ensuring that society works within the framework of this law. It is important to point out that criminal justice is not interested in analyzing psychological details such as what causes criminal behavior and that tends to fall under the category of Criminology. Those who seek to work to enforce the law are expected to have a graduate degree in Criminal Justice or Social Work. These degrees are accepted as qualification for a career in corrections and probation along with law enforcement. Jobs in security services, immigration, forensics, homeland security also require a Criminal Justice or equivalent degree. Such a degree will give a student an overview of the processes behind enforcement and an introduction to the legal system and the prison system. Depending on the actual position, some certification in behavioral sciences may also be expected. Those who seek to build their career in law enforcement should note that a master's degree in Criminal Justice may be needed for higher level positions. A Criminal Justice degree can qualify you for a job in the local, state or federal government. Some likely careers for people with a degree in Criminal Justice are criminal investigator, CIA agent, U.S. Marshal, forensic expert, law clerk, court administrator, pre-trial service investigator, juvenile court counselor, prison guard, border patrol agent or industrial security professional. It is also possible to set up your own business as a private investigator. As you can tell, there is a range in terms of the career options available for those who have a Criminal Justice degree and so the remuneration also tends to be different for the different jobs. If the idea of serving your community and being at the forefront of our fight against criminal elements appeals to you and you believe you have the temperament for it, a Criminal Justice degree can help you get a job that you can be proud about. There are many online schools that offer bachelors and master's degrees in Criminal Justice and you should be able to find a course that matches your requirements in terms of areas of specialization, time commitment and financial limitations. This is going to be an exciting path toward an interesting career.